Don’t worry, I’m not gonna go all primal on you and start abandoning my beloved carbs. I’m no cave-woman, ya know? A paleo diet is based on eating foods from food groups that our ancestors would have thrived on in the stone age, such as meat, fish, vegetables, nuts and berries. It is essentially a high-protein, low carbohydrate diet that eliminates foods introduced after agriculture began, such as grains, legumes (beans/lentils), dairy and refined sugar. This diet is quite common with athletes, especially those who do crossfit. I personally wouldn’t be able to follow a diet based around meat (though I do love fish), though I do see the appeal of the diet and have read up on the research. Americans do over-consume refined carbohydrates (like cereals, snack foods, baked goods, etc. ), but eliminating all grains would be near impossible for me. Though baking with almond meal is a great substitute (especially for those who don’t tolerate gluten), I love quinoa, oatmeal and bread way too much to ever give them up. I give those who follow this diet a lot of credit, because I’m sure it takes lots of dedication. 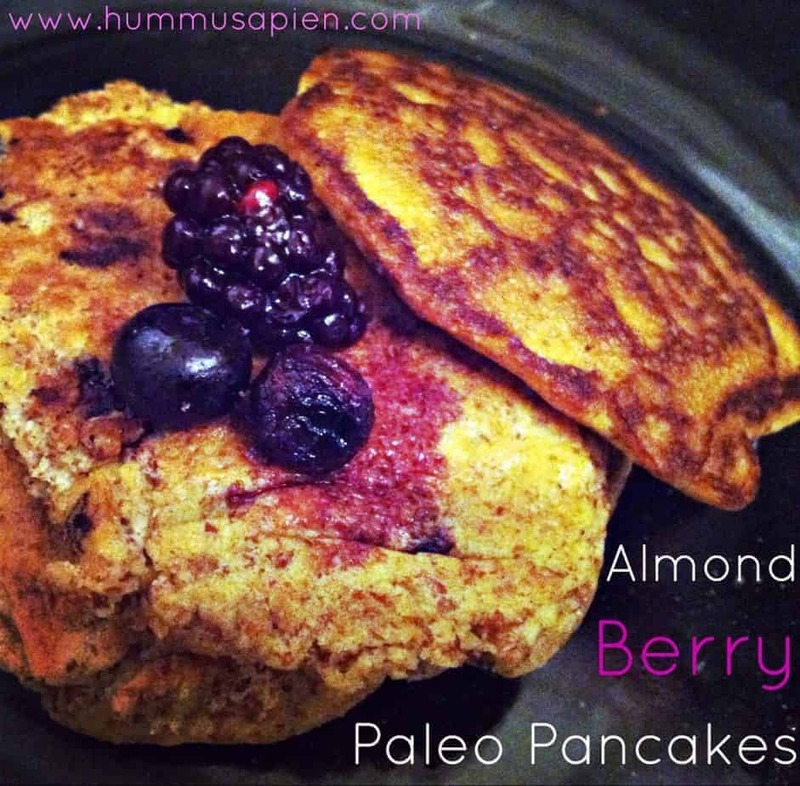 Sooooo….just because I’m not following a paleo diet (at all) doesn’t mean I don’t enjoy a good paleo pancake recipe here and there. Basically, these were paleo on accident because I was just searching for a way to make good pancakes out of my beloved Trader Joe’s almond meal. The satisfaction of having yummy pancakes before work combined with the fact that I’m really just eating ground almonds, eggs and berries (plus lots of healthy fats) makes me very happy. I’m still trying to find the time to make these chocolate chip cookies, these pumpkin squares, this pumpkin bread and these blueberry muffins. I just love experimenting with almond meal and coconut flour and I literally find a new recipe I’m dying to make every.single.day. Next weekend, the other interns and I will be helping out at the 25th annual Celiac Conference, so I’m glad I’ve been freshening up on gluten-free baking! I’m going to be in charge of cupcake decorating for the kiddies, so that should be pretty awesome and adorable. Also, lots the patients I council at the GI clinic have celiac disease in addition to their other gastrointestinal disorders, so it’s really helpful to have gluten-free cooking/meal planning ideas on hand to help them out! Now get in the kitchen and make your ancestors proud! 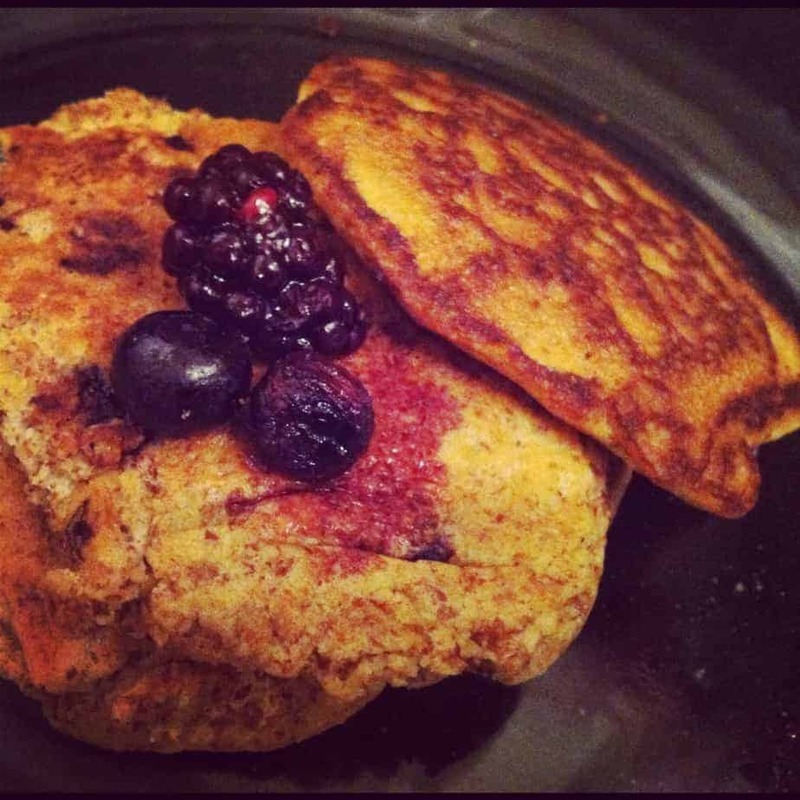 A delicious grain-free almond pancake studded with berries, just like our ancestors would like it. Heat a large pan/griddle over medium heat. Add enough oil/butter to lightly coat the pan. You’ll need a nice amount or else they’ll stick. Add more between each batch. Mix together all ingredients except berries in a medium bowl until combined. Make sure pan is nice and hot before cooking the pancakes. Use a 1/4 cup measuring cup to pour batter onto pan. Top each cake with a few berries. Cook for a few minutes on each side. IMPORTANT: do not flip until they look set and are easy to flip! If they look too liquidy, don’t try to flip them yet! Top pancakes with maple berry syrup: combine about 1/4 cup berries with 1 tbsp maple syrup. My deepest sympathy goes out to our ancestors who never got to enjoy a freshly baked slice of crusty French bread. I’m not a big fan of Paleo or any diet which eliminates food groups, but I do eat Paleo meals occasionally out of coincidence! Just out of curiosity, do you know why quinoa is not Paleo-friendly as essentially it is a seed? Good question! This is what I found online on Livestrong…. “Although quinoa is not a grain, botanically, but rather a seed, it has properties similar to grains. Instead of containing gluten, the protein that attaches to a carrier molecule at the intestinal level to penetrate your bloodstream, quinoa contains saponins. Saponins constitute a substance similar to soap that is produced by the plant as a chemical defense system. This is why it is recommended to rinse quinoa before cooking it. However, not all saponins are removed and the part you end up eating produces small pores in the membranes of cells lining your intestinal wall, which irritates your immune system. 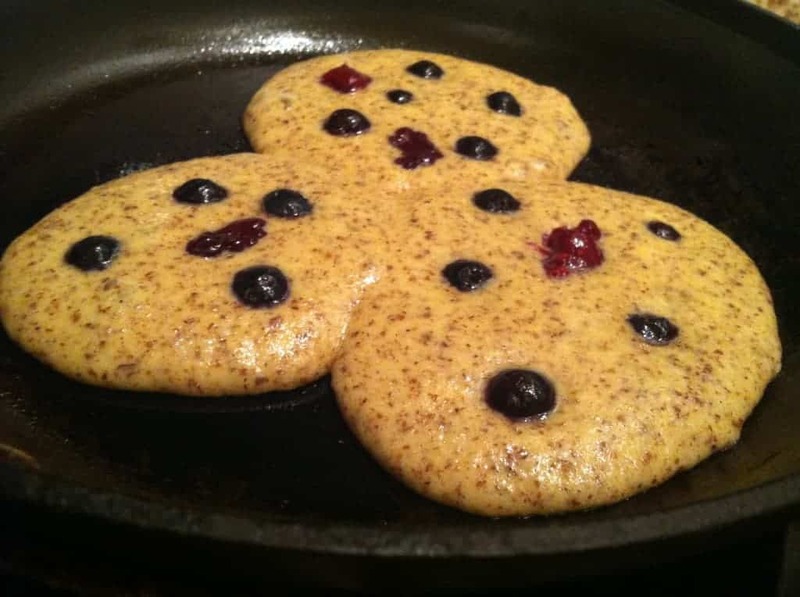 Thank you so much for posting this recipe, I have a lot of food allergies, even gluten free pancake mixes don’t sit well with me, but I never thought I’d be able to enjoy blueberry pancakes ever again! Didn’t have almond extract and didn’t use oil on my griddle (the pancakes came out a bit broken) but still tasted amazing! I am highly inspired and your writing advantages seeing that perfectly as with the structure for a weblog.. grillsnack Is that this your paid theme and also does one alter the idea yourself? In any case sustain the favorable good quality publishing, it is actually strange to discover an excellent website like this one currently.